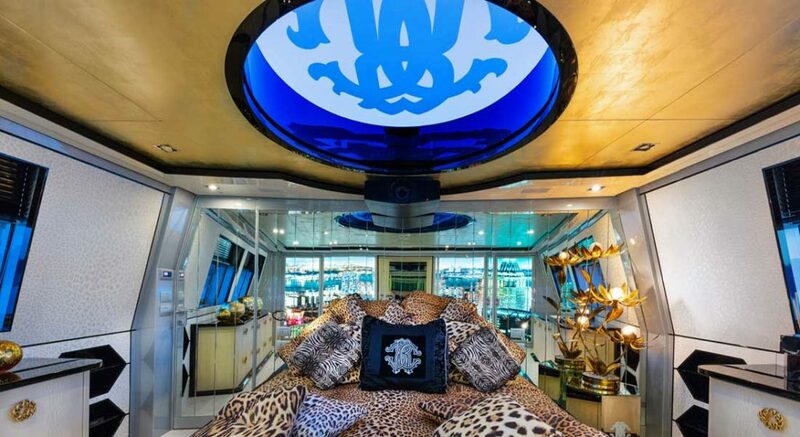 For fashion designer and yacht owner Robert Cavalli, Freedom is 88 feet (27 meters) of, well, freedom on the water. She’s further freedom of custom design and construction. Every corner, every curve from the pen of Tomasso Spadolini expresses Cavalli’s distinct personality, in a size rarely showcasing such diversity. 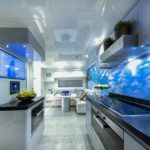 The third fully custom project from CCN, Freedom is what results when a customer with a close relationship with a designer works with a shipyard keen to flex its muscles in a new realm. 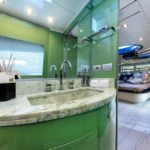 CCN has long focused solely on semi-custom yachts. To be clear, it isn’t abandoning its past. It still builds the 86 and 102 Flyingsport ranges, for example. Plus, it’s offering the new Firma collection, which spans several sizes. Rather, the Italian shipyard believed it could carve a niche for custom construction in sizes and ways where other builders didn’t. Freedom certainly doesn’t look, or perform, the way you’d expect for an 88-footer. 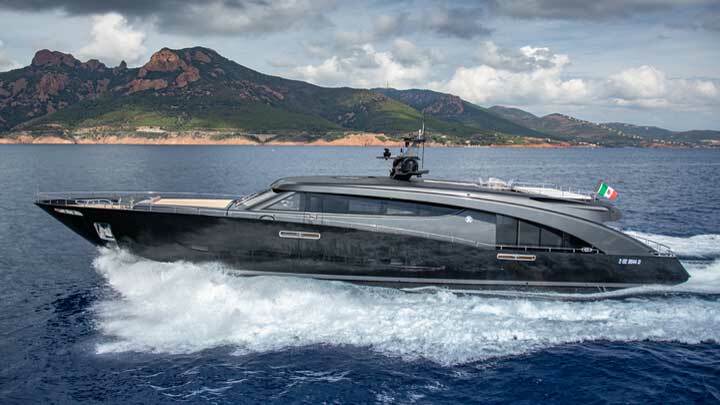 Launched last July, she’s more assertive, with a sharp bow and a superstructure forming a dramatic downward curve. The megayacht also has a relatively low stance, even with a flying bridge. Inside, though, you’ll find the biggest surprises. There’s no saloon, formal dining area, or other generally accepted norm. 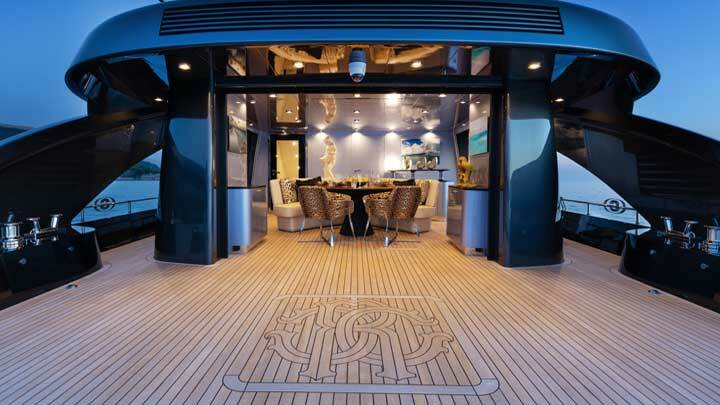 There isn’t even a glass bulkhead or sliding glass doors separating the aft deck from the interior. 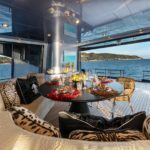 Instead, Freedom has an open lounge, with curving settees and a round table, looking out, unfettered, over the aft-deck expanse. (As seen below, it’s an expanse with an interlocking “R” and “C,” Cavalli’s fashion-house logo.) Much of the rest of the deck is the master suite. 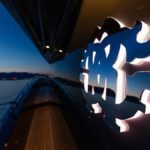 Ultimately, Cavalli wanted the entire main deck to be a private escape. Escape is a good word for his full-beam suite (top). Opening windows—similar to opening glass side doors in the lounge—enhance the feeling of being at sea. So, too, does the skylight above his bed, once again adorned with his logo. Its proximity to the wheelhouse, fully forward, further underscores this. How? From day one, Cavalli intended to take the wheel himself. 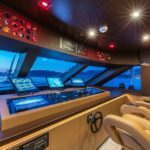 Keeping everything looking and feeling united, just four shallow-rise steps separate the aft deck from the wheelhouse, fully forward. 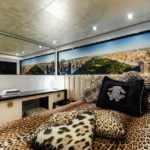 From Freedom’s main deck down to the two guest cabins below, Cavalli has fully expressed his personality. If you know anything about the designer, you’ll likely recognize the wild animal prints on furnishings and accessories. These, as well as door hardware, drawer pulls, and more all come from his fashion house’s collection. The one exception: the galley. Although, here, too, Cavalli’s signature is evident. Mural-like photos cover the bulkheads. Here’s more of Freedom, and the freedom that Cavalli enjoyed in outfitting her. If you’re lucky, you might spot him speeding around the Med aboard. The yacht enjoys a reported 42-knot top speed, thanks to triple MANs with Rolls-Royce waterjets.